Make pads or a book signature easily. 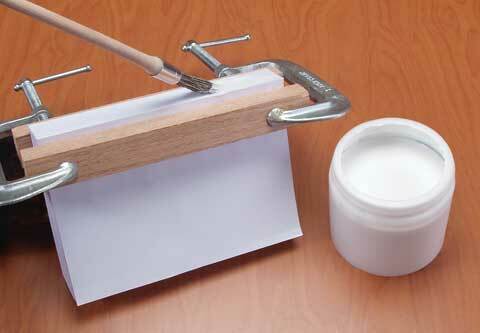 Brush the compound onto the spine of paper. Dries to provide a flexible bond. Translucent/white color. In a 12 oz. jar.